Tiger’s 65-foot “putt heard round the world” on the 17th hole at Sawgrass was astounding. I felt honored to paint a scene of Tiger, the man who changed the game of golf forever, on this auspicious day in 2001. My husband and some neighbors posed as cheering fans. 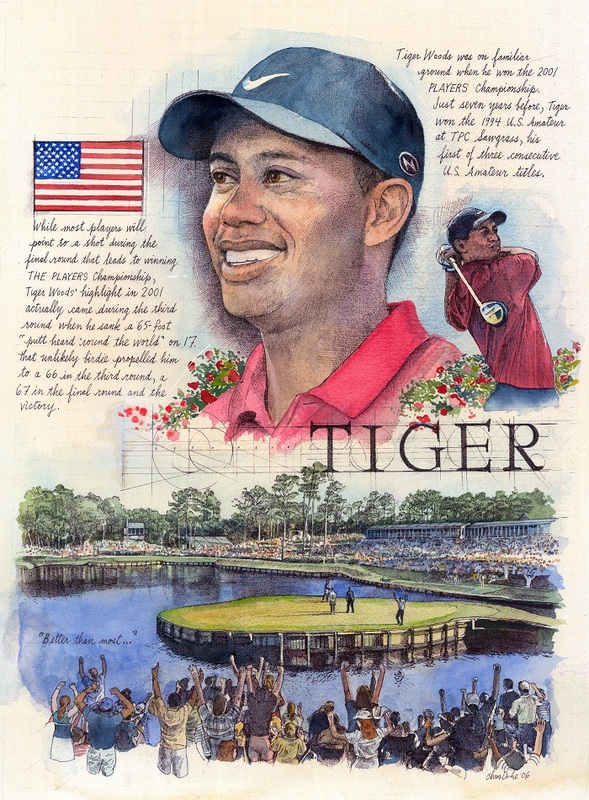 To see Tiger right after unveiling his 2001 portrait, please see this News update, which also features his 2013 PLAYERS portrait.